Is Your Website Mobile-Friendly? Take This Test & Find Out. A mobile-friendly website is an absolute necessity to meet the needs and search habits of today’s consumer. Mobile search accounts for more than half of Google’s searches worldwide.In turn, Google has continued to roll out updates to keep up with growing dominance of mobile. Mobile search is evolving. App indexing, voice search, and AMP are examples of how Google is ramping up mobile search, giving users more targeted, timely, and personalized content. And you can’t mention mobile without mentioning local. Nearly one-third of mobile searches are location-based queries. If you are local business with only a desktop-version of your website, you are losing customers to the ones that have a robust mobile-friendly site. With a few key pieces in place, you can create a mobile-friendly website that will drive traffic to your business and convert those leads into customers. So is your website mobile-friendly? Have you tested your site using Google’s Mobile-Friendly Test? Simply enter your website url and this test will analyze your site and report if it has a mobile-friendly design. 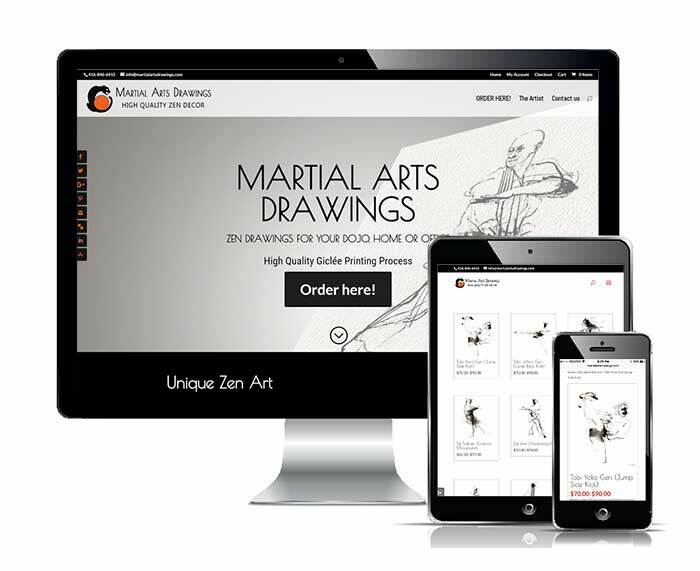 Do you have a responsive website design? Responsive website design responds to the needs of the users and the devices they’re using: phones, tablets, desktops, game consoles, TVs, and wearables. This ensures a consistent user experience, no matter what device they use. Are you using optimal font size for mobile? Font size can make or break a mobile user experience. Use legible font size appropriate for the device. With a responsive website design like we use at COMMbits, you are able to optimize the font size for mobile, tablet, and desktop. Slow loading images, broken images, and poor navigation will leave your visitors frustrated and off to the next website. Optimizing your images for mobile is critical for a pleasant user experience. Choose uncluttered, clear images that will translate to a smaller size. Make sure you compress to the correct size to retain high resolution. Mobile search will continue to gain momentum in 2016 and beyond. Your business can’t leave this critical element out of your digital marketing plan. For a free review of your site’s “mobile friendliness”, send me an email at [email protected]. I will be happy to review your site and help you determine whether your site has the right stuff to win in today’s mobile marketing environment. A mobile-friendly website is an absolute necessity to meet the needs and search habits of today’s consumer. Is YOUR website ready? Take our test and find out!